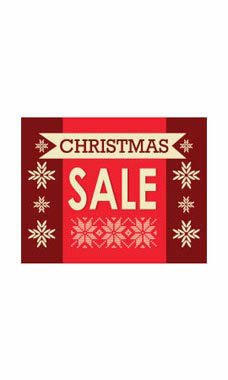 Let your customer's know that your store is having a Christmas Sale with our bright and cheery Small Christmas Sale Sign Cards! Featuring a red back ground with bright gold lettering and designs these signs will catch your customer's eye and draw them to your sales racks and displays! Sold in packs of 25!